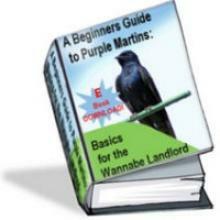 The FIRST purple martin Ebook ever written, A Beginners Guide to Purple Martins: Basics for the wannabe landlord is full of great info. This Downloadable E book is a basic starter E-Book for those that want to learn about Purple Martins. 47 pages long, this FIRST edition of our ebook has colorful pictures, helpful hints and tons of basic info for the beginner. 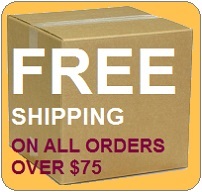 After your purchase is complete, you will be able to download this product via a link on our website. Download link will be active after payment is received. We will also email you a link to download the ebook so make sure you give us your email address. 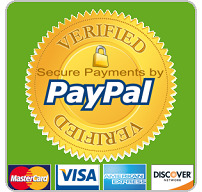 We will not use the email address you give us for any other purpose except to send you the download link. You can also access your E-Book download by visiting "My Account" on the left side border of this website under "Information". Remember this is an E book and no paper version will be mailed. It is in PDF format and can be read on any computer. A PDF reader is needed which is a free download available from Adobe. A NEW revised SECOND edition that is 83 pages long and fully updated is available on amazon for KINDLE devices. You can follow THIS LINK to purchase that second edition directly from Amazon.